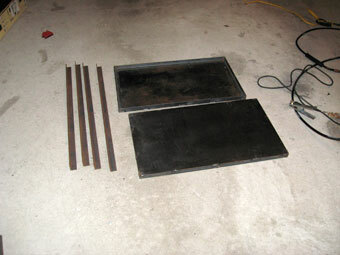 If you’re going to be fabricating some chopper parts your going to need a welding table. 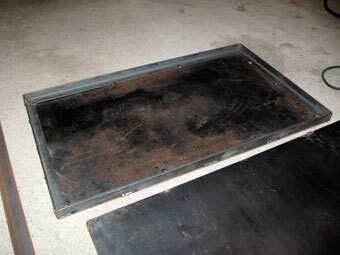 I found these welding table plans on the Lincoln Electric website. Nothing too fancy, but gets the job done. It’ll also come in handy when using a torch to bend metal. It’s not much. But it’ll get the job done. 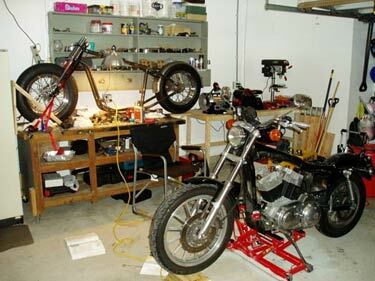 The bench the rolling chassis is on is just a wood workbench. 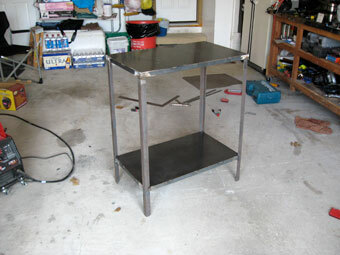 I added some casters I picked up from Harbor Freight Tools so I can roll it around. I made the bench on the right to mount some necessary tools. A grinder, a table mount belt/disk sander and a drill press, all made by Craftsman. Another must have tool is a band saw. I picked up a Dewalt portable bandsaw and found this tablemount for it. 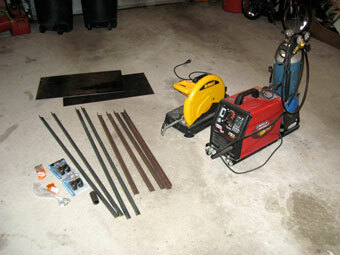 The welder I have is a Lincoln Electric Home Depot special. I think it’s called the Weldpack HD 3200. 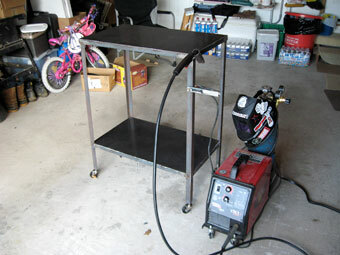 It’s a MIG welder and I made sure it had a hookup for shielding gas. Those are the main tools aside from your standard hand tools. I’ll mention more along the way. 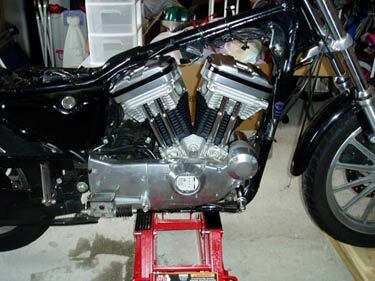 In these photos I am finishing up the NRHS engine conversion on my donor bike I mentioned earlier. 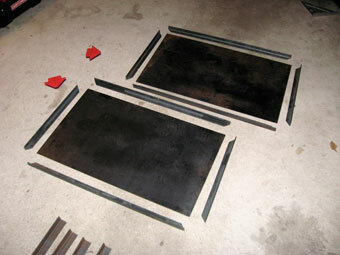 I had the cylinders powder coated with a black wrinkle finish after they were bored and honed. I like the contrast they have with the chrome push rod covers. I also had the rocker cover spacers powder coated black with a smooth finish.